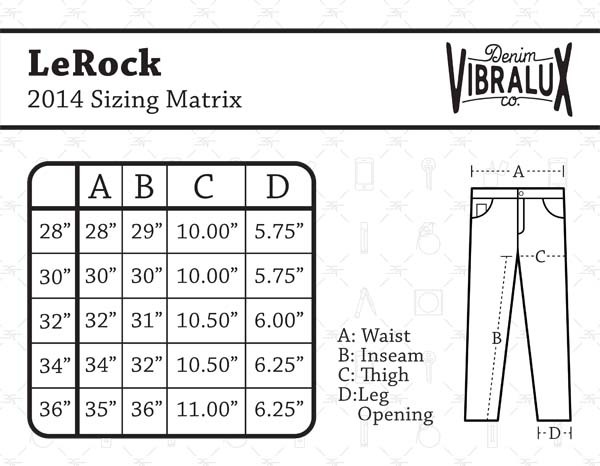 Vibralux LeRock III Jeans 28" ONLY! Signature jeans from a fictitious character. Remember to check the size matrix before ordering. These jeans are a slightly tapered fit. Enjoy! I'm 6'3", and 90% leg. 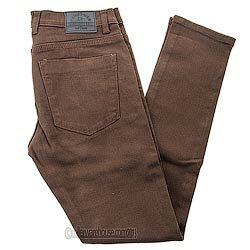 These are probably about a 33in inseam. A little high-waterish on me, but with skates or high-tops on, they look perfect. Stoked on the new VX denim, and you should be as well.